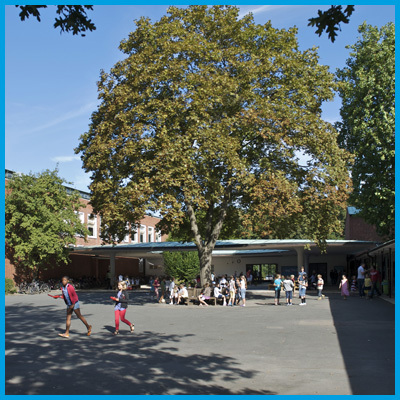 The International School Hannover Region (ISHR) achieved at least 91,6 per cent of possible rating points in an audit in December 2016 and therefor is a fair employer. 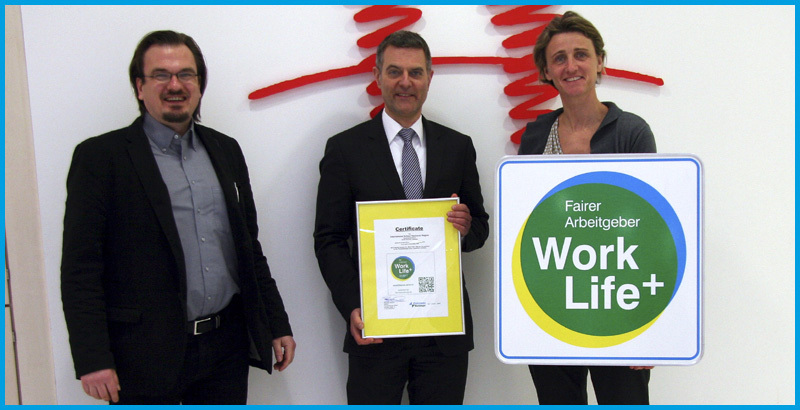 Stephan Handwerker and Rachel Hovington, directors of International School Hannover Region, are happy for their school to be awarded with the Work Life Plus seal as a fair employer by Sebastian Baacke (left). 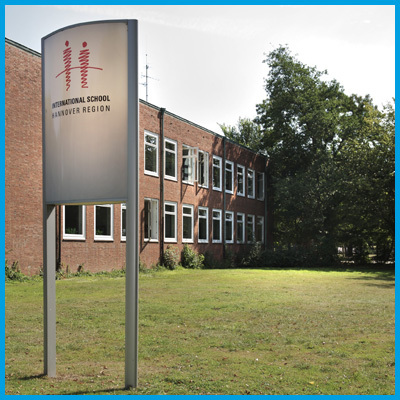 The International School Hannover Region (ISHR), which was founded in 1996 by renowned companies in the Hannover area, quickly developed into a great success story and is today an important location factor for the Hannover Region. ISHR offers lessons in English to students starting at the age of 3 in Kindergarten, up to grade 12, culminating in the International Baccalaureate (IB), which enables students to attend universities worldwide. Due to the small classes, differentiated learning is practised, which helps students to reach their full individual potential. 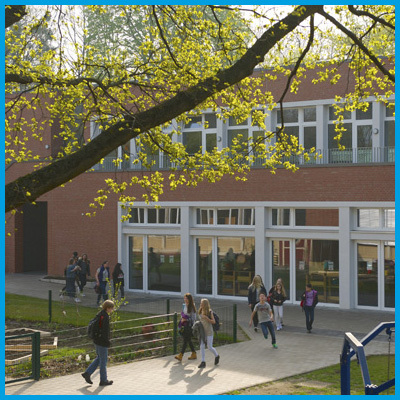 Apart from children of specialists and managers from abroad, many students from German families also attend the school because the curriculum of the IB, in addition to teaching the contents of the subjects, puts a strong focus on developing the increasingly important qualities of intercultural competence and social intelligence in our students. 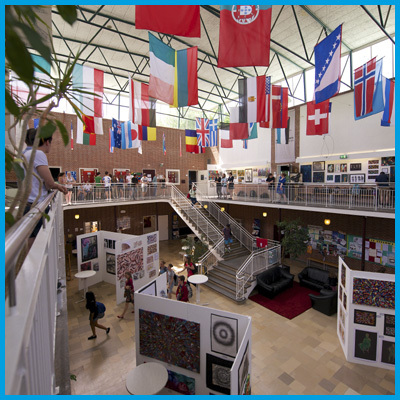 Following the motto „Educating world citizens“, today more than 600 students from over 60 different nations receive a first class international education at ISHR. 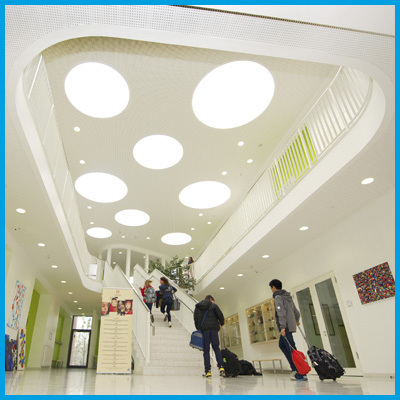 The International School Hannover Region (ISHR) achieved 705, thus 91,6 per cent of possible rating points. Hence ISHR is a fair employer. All faculty and non-faculty staff can take the break times according to German law. The employer provides all material that is necessary for health and safety at work (for example for chemistry lessons). Periodic occupational health checks take place and the employees receive regularly training in work safety measures. The employer trains the by law demanded number of employees in first aid. In case of illness, employees continue to receive full payment, of course. Especially wishes of the employees are considered in furnishing the rooms. FairnessRatings does not wish to intervene in the tariff authority of the social partners. This is why this part of our rating only requires minimum standards, which a fair employer may not fall below. However, an employer can receive bonus points if he pays above the national standard. Unfortunately, there is no such standard for private schools. Especially for teachers there is a vast (and necessary) offer of guidance on issues such as support in visa-affairs, relocation and house hunting, tax and social insurance issues, child allowance and customs issues. Based upon bonus points the ISHR achieves more than 100 per cent in this part of the rating. The employer complies with his fiduciary duty and the legally fixed maximum working hours are not exceeded. Teachers work on the base of a flextime wage record. Non-faculty employees‘ work time is trust-based and thus they have the possibility to organize their work times flexibly. Employees may use the statutory number of free days to take care of family members at home. In addition to this, employees are not required to produce a doctor’s note on the first day of their child’s sickness. In cases where employees are taking care of their sick children at home, their pay continues for more than the statutory number of free days: 10 bonus points. In addition, employees can send their children to the International School without school fees being charged. Employees only pay the taxable benefit on the fees. Employees who are either on parental leave, caring for sick family members or who, for any other personal reasons, are not able to work are still informed about company matters and are invited to social activities: 10 conditional points.